American Maturity Life Insurance Company, the subject of this health insurance review, is a wholly owned subsidy of the Hartford Insurance Group. Connecticut-based American Maturity Life neither conducts business nor writes policies under its own name, preferring instead to conduct all operations under the Hartford brand. All the information contained in this review applies directly to Hartford, and indirectly to American Maturity. Enter your zip code right now to see health insurance rates of companies in your state. 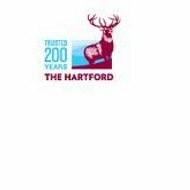 The Hartford Insurance Group dates back to 1810 when the state of Connecticut first passed legislation to incorporate them. In the 200 years since, the company has grown into insurance powerhouse providing a long list of insurance and investment services to both individual consumers and businesses, located around the world. So extensive is their coverage that they have offices in the U.S., Canada, Japan, Brazil, the U.K., and Ireland. The Hartford Group, and American Maturity by extension, offers such a long list of insurance products that it would be impractical to list them all here. Since this is a health insurance review, we will concentrate on that one topic. American Maturity’s health insurance is not provided directly to individual customers on a one-on-one basis. Instead, Hartford prefers to provide health insurance and other benefits programs through employers. By utilizing this method, the company is able to provide better coverage at a reduced cost based on a larger group of individuals. To acquire health insurance coverage from American Maturity or Hartford, your employer would have to have such coverage as one of its benefit options. If your employer does not offer American Maturity health insurance, it is possible that your local Chamber of Commerce or trade organization might. You will need to contact them and ask for details. If you are looking for specific information about one of their services or subsidiaries, the Hartford website has a special contact section with almost a dozen addresses and telephone numbers for various departments. As one of the largest insurance companies in the world, the Hartford Insurance Companies maintain a vast, worldwide network of local agents. These local agents sometimes represent all of Hartford subsidiaries, including American Maturity, and other times they simply represent one or two. The whole idea behind the local agent model is to allow agents to carry as many or as few products as they desire. In doing so, they are able to compare the policies of different companies to provide you with a good range of options. The easiest way to find a local agent near you is to use the Hartford’s website agent locator tool. This tool begins by asking what type of insurance you are after, then asking for your address. A few seconds later, you will be presented with a complete list of local agents including addresses and telephone numbers. Because the company is so large, there are plenty of agents in the United States that you should be able to find one close to home. American Maturity and Hartford also provide a link for agents or agencies who wish to become Hartford representatives. That link provides you with pertinent information along with an application to be submitted to Hartford Insurance Companies. Successful candidates will be given all the tools and training necessary to be a successful representative. American Maturity and Hartford provide excellent customer service as demonstrated on various Internet insurance review sites. Not only that, their online customer service portal is among the most impressive we have seen. The portal provides a seemingly endless amount of information regarding individual insurance products, how they apply to you, changes in the industry, and so on. From the portal, customers can access a plethora of account management tools to take care of business easily. Of course, if you prefer to deal directly with a representative you have the options of calling your local agent or American Maturity/Hartford directly. Depending on your circumstances, initiating a claim might go smoother if you contact your local agent before anyone else. He or she agent will be able to begin your claim with special knowledge of your community, any local circumstances, and so forth. Finding online health insurance quotes is as easy as entering your zip code below.